Shop Our Entire Selection of Chocolate Hearts What's sweeter than giving your loved ones chocolate hearts for Valentine's Day? 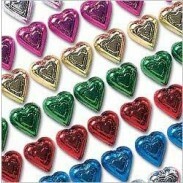 Getting all of your Valentine's Day chocolate heart candy at low wholesale prices, that's what! At Metro Candy, we specialize in bulk candy for every occasion. We have a huge assortment of chocolate hearts to choose from so you can get all of your Valentine's Day candy shopping wrapped up in one convenient place. 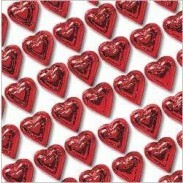 Enjoy All Kinds of Chocolate Heart Candy from Top ChocolatiersWhether you want to stock up on Valentine's heart chocolates for gifting to your friends and family or you want to hand them out to your favorite customers, Metro Candy is where you can get your Valentine's Day chocolate heart candy in bulk for less. We have a wonderful assortment to choose from, including premium selections from such chocolatiers as Merckens, Elmers and Madelaine. Many of our Valentine's heart chocolates even come with their own decorative display boxes, making them ideal for businesses, fundraisers and resellers. Metro Candy's entire selection of chocolate hearts is listed below. 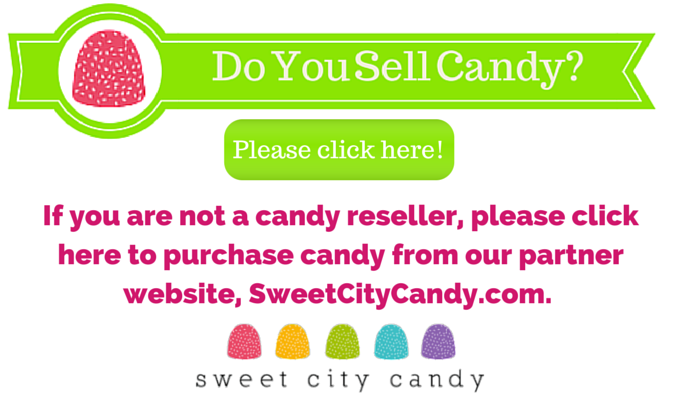 If you have any questions about any of our Valentine's heart chocolates and candy selections, just visit our FAQ section or contact us for more information. Our friendly staff will be happy to answer any questions you may have about our chocolate heart candy or any of our other Valentine candy selections. 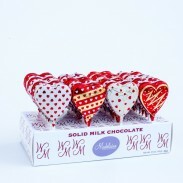 Madelaine Valentine Heart Pops 24ct.